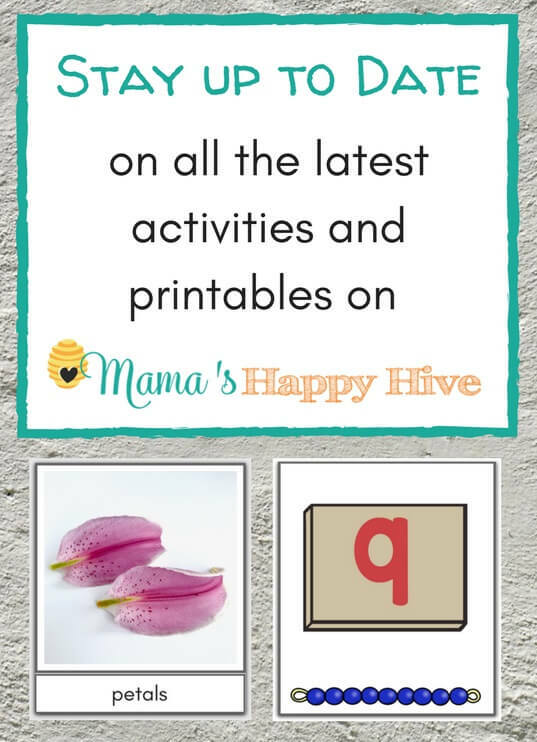 Montessori Pre-Reading Activities - Mama's Happy Hive Enjoy six Montessori inspired pre-reading activities for toddlers and preschoolers. 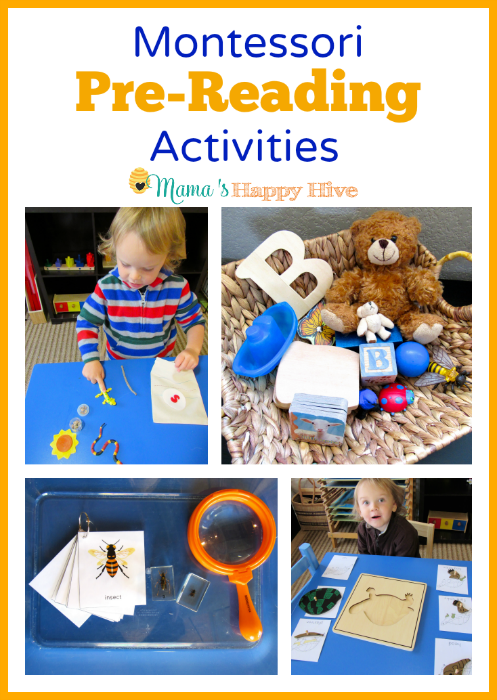 These activities include reading books, treasure baskets, labeling the environment, language mystery bags, matching work, and reading booklets. 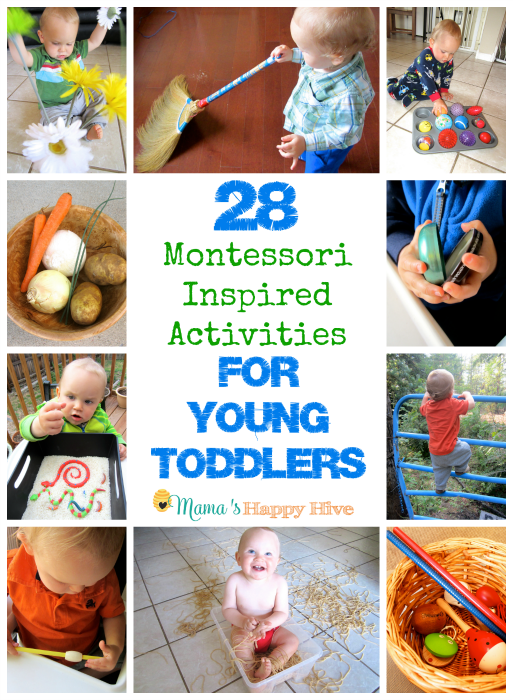 Enjoy six Montessori pre-reading activities for toddlers and preschoolers. 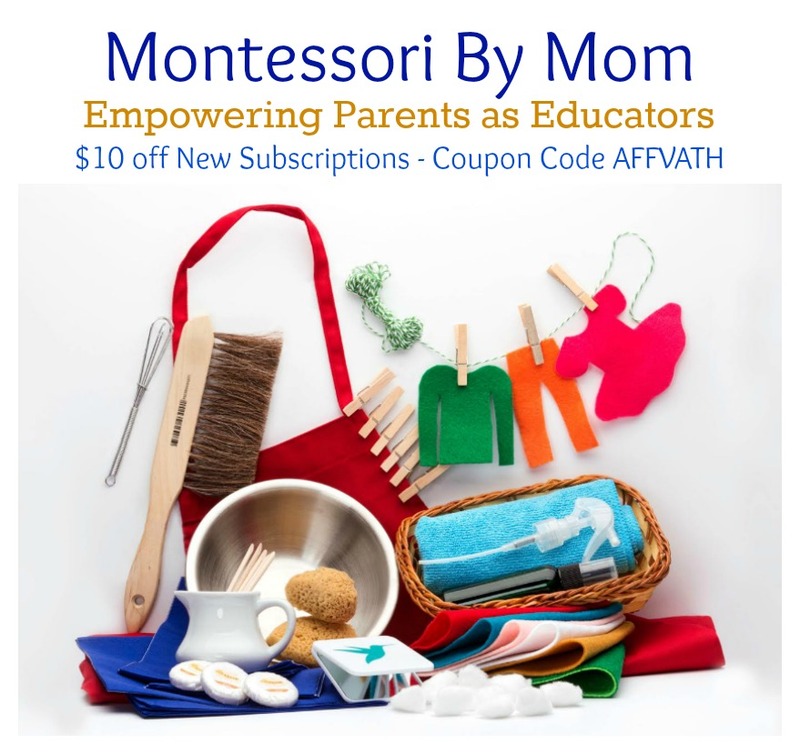 These Montessori inspired activities include reading books, treasure baskets, labeling the environment, language mystery bags, matching work, and reading booklets. 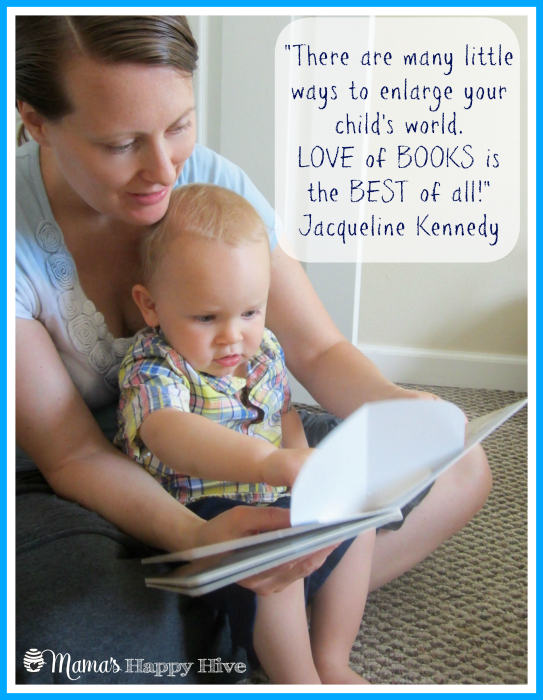 Reading books with our children is so important for language development and verbal skills. Books open new worlds for our children and expose them to vocabulary that they may not hear in everyday conversations. The best part about reading books with our children is that it gives us quality time to bond with them. These language treasure baskets were inspired by "The Kavanaugh Report" blog. 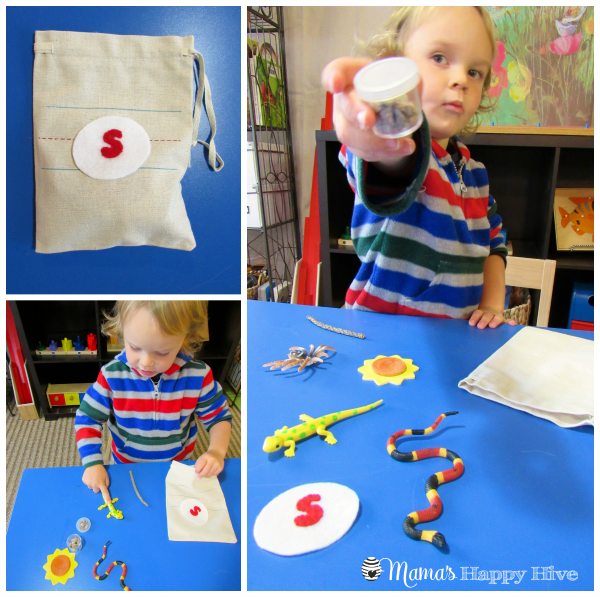 Nicole created letter sensory bins for her tot school ABC series. She also has many other beautiful treasure baskets for learning colors, geography, familiar faces and more. 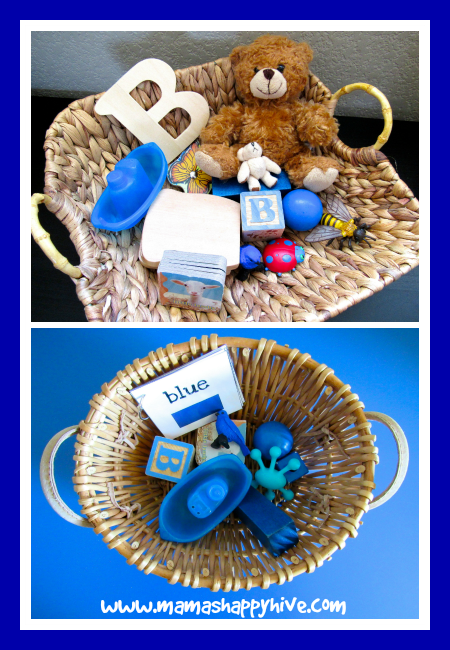 Treasure baskets are wonderful for introducing hands-on learning for babies and toddlers. 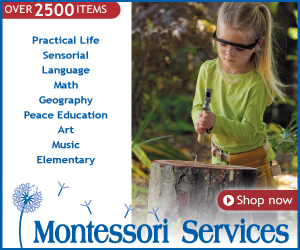 The treasure basket can include 10-20 items that are age appropriate. If possible, the treasure basket should have items in it that stimulate all the five senses. 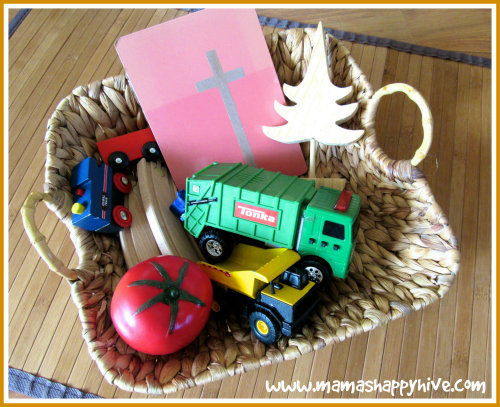 The language treasure baskets below were created for my toddler and include all the items that begin with the letter "t" or letter "b." Little Bee enjoyed exploring these baskets. As he examined each item, I told him the name of the object while emphasizing the beginning letter sound. 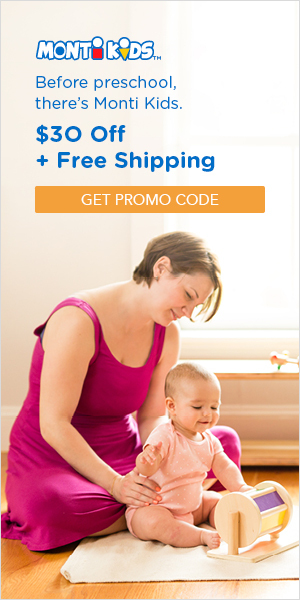 Labeling the environment in your home will help your child with language development. Great areas of the home to label are the kitchen, bathroom, and their bedroom. 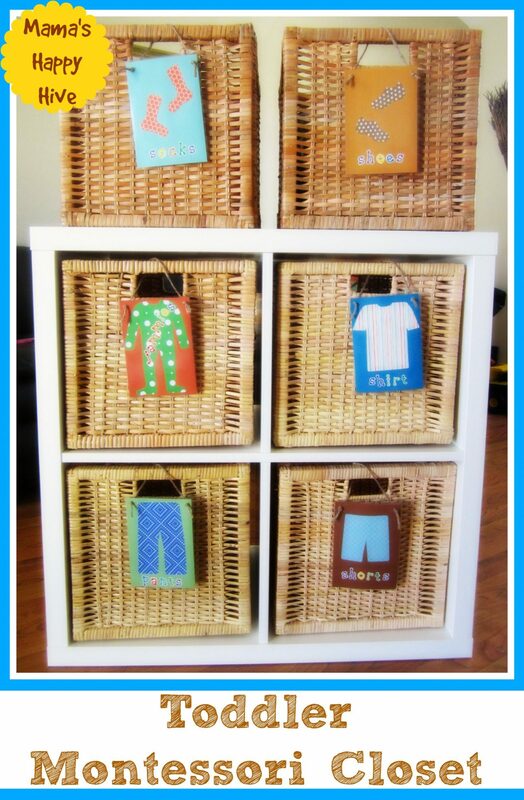 Labeling the snack drawer, utensil drawer, their personal chair, clothing in the closet, and toothbrush are a few examples of items that can be labelled. Below is Little Bee's closet shelves labelled with pictures and words. The Montessori print shop also has free 3-part cards for electrical appliances that can be used for labeling the environment. 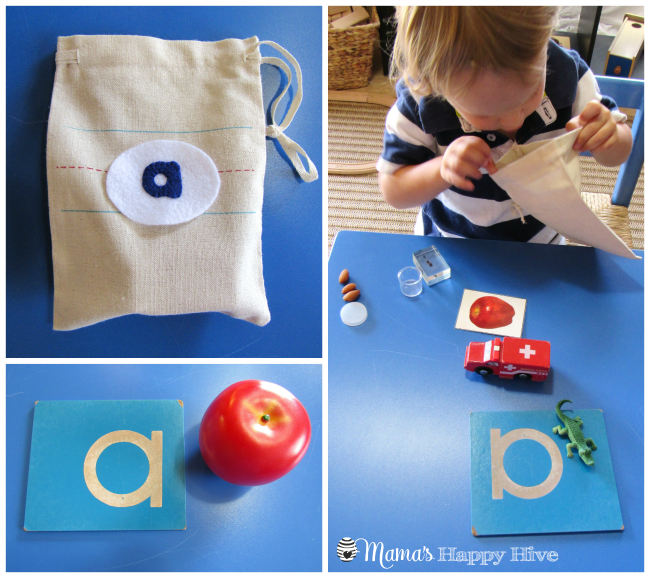 I learned about the Montessori language mystery bags from "A Montessori Approach to Language" by Jo Ebisujima and Deb Chitwood. 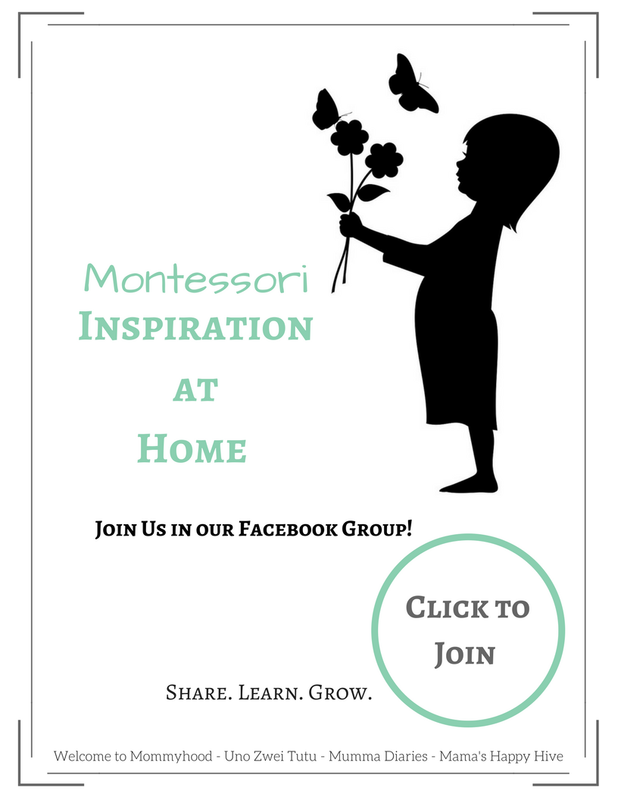 This language training session is part of the "Montessori Crash Course." Little Bee loves these mystery bags so much! Every time I tell him I have a new bag for him to discover, he squeals with joy! Each mystery bag contains 5 objects that start with the letter that is being presented. 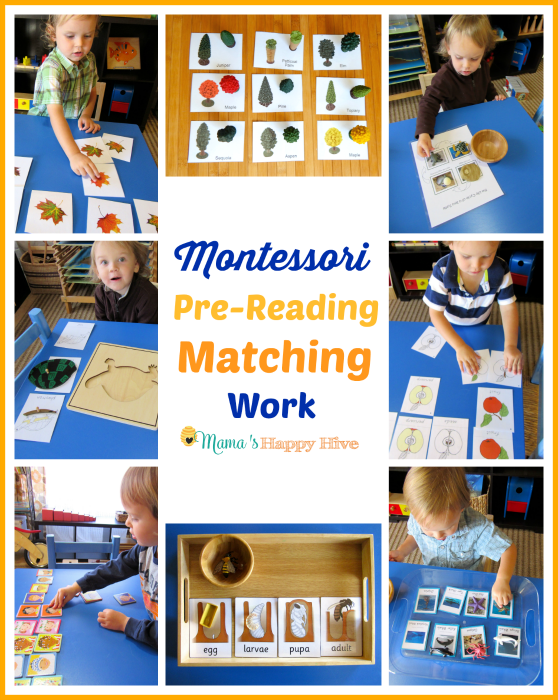 A large part of Montessori pre-reading activities is matching work. 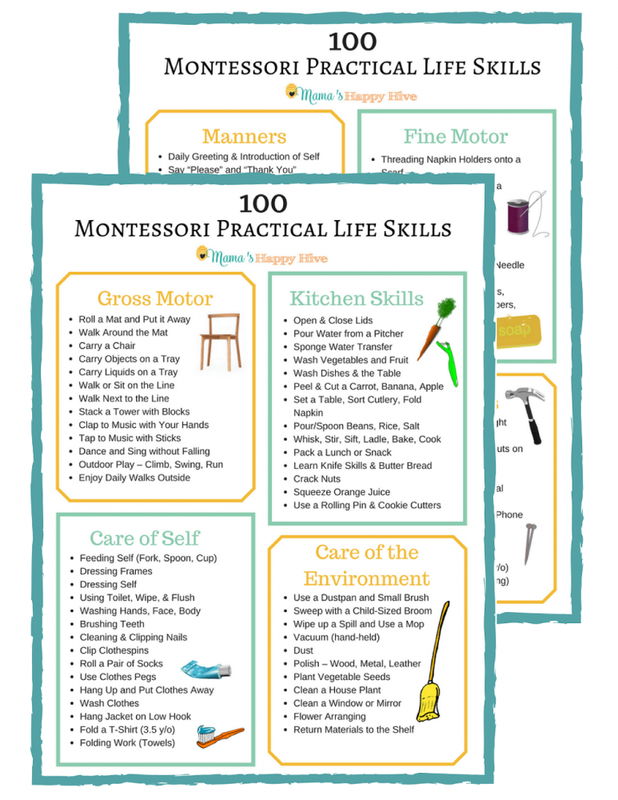 The Montessori Print Shop has a fantastic toddler bundle full of wonderful matching work printables. (Please note that these printables can be purchased individually as well.) 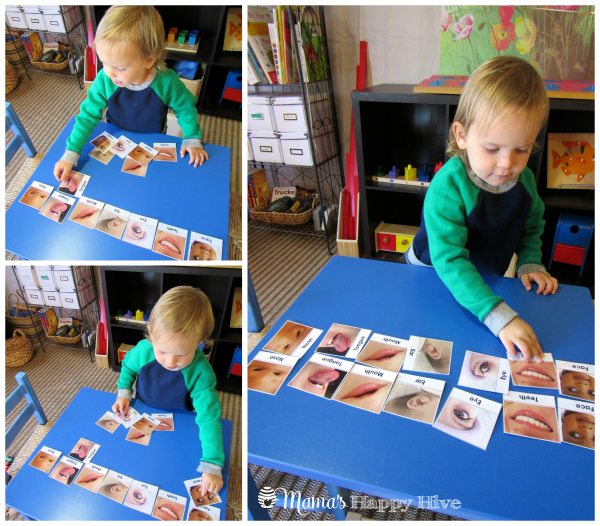 Matching helps the child with shape recognition, vocabulary, and hand-eye coordination work. 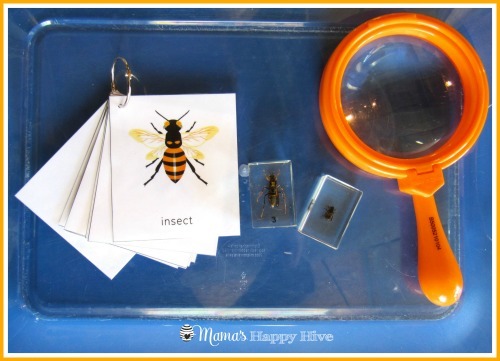 Over the last year, Little Bee has matched two photos that are the same, matched similar objects to photos, and matched the Montessori puzzle pieces to their corresponding labelled nomenclature cards. Other matching work that can be presented to the child are opposites, nouns, what goes together (what doesn't go), and categories. 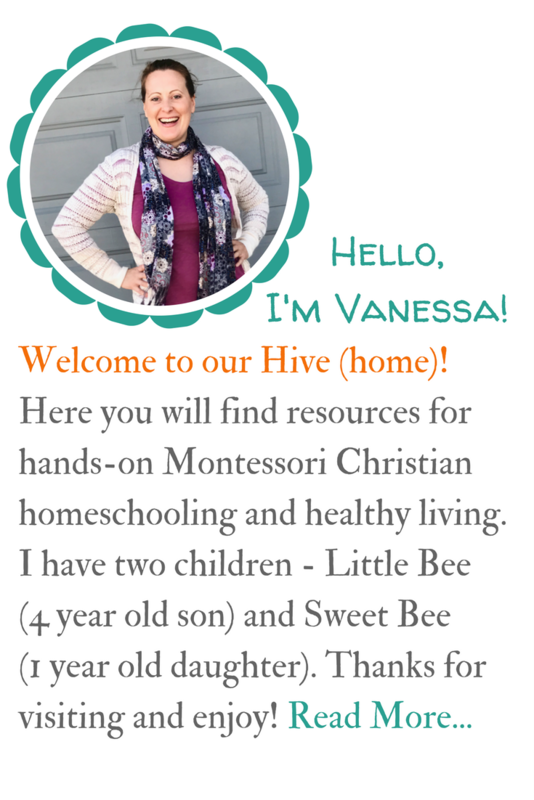 Lastly, I love to make booklets for Little Bee to explore and carry around the house. To make the booklets, I laminate Montessori nomenclature cards. Then I punch a hole in the corner and attach the pages with a metal ring. 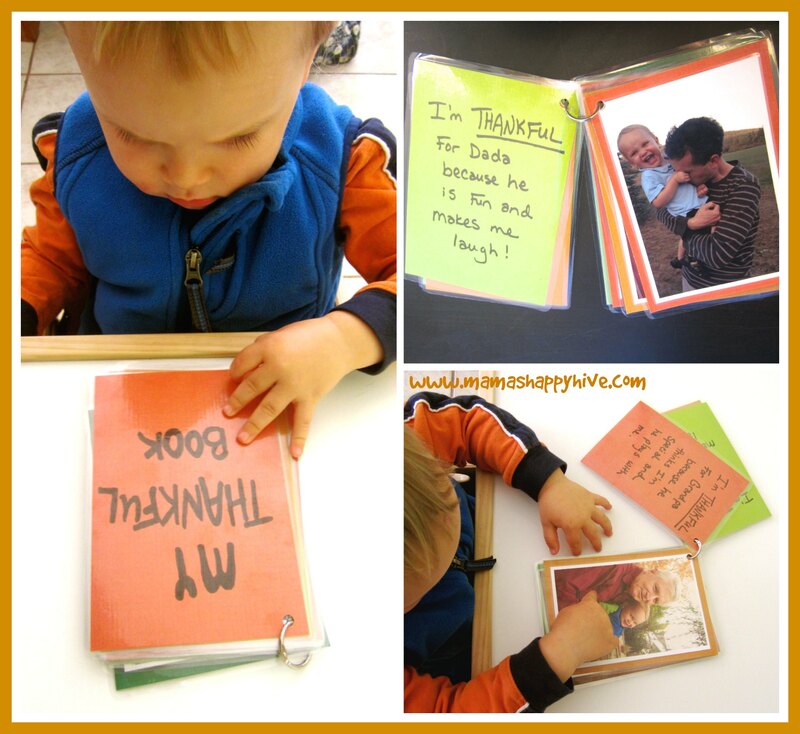 Other booklets I have put together are made with photographs of family members and a written story about each person. Little Bee enjoys when we read to him out of these mini books. 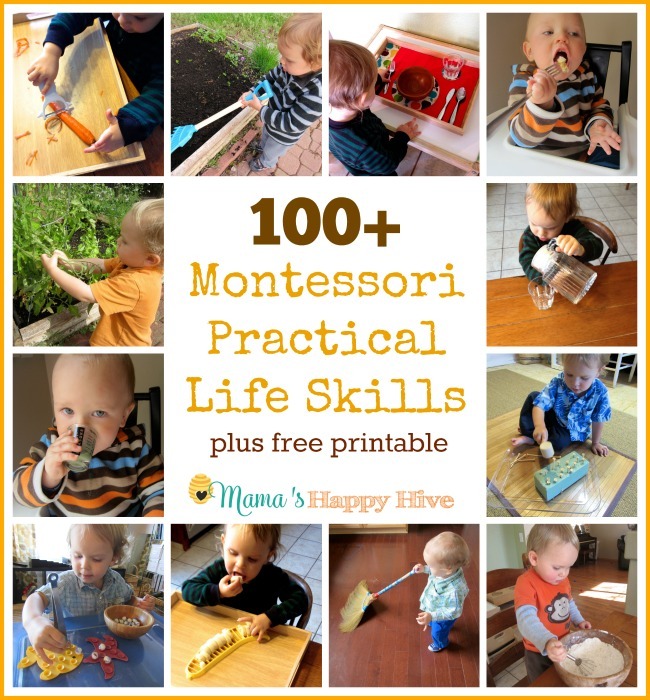 Follow Mama's Happy Hive's board Montessori Language on Pinterest. I love how big little B has grown! And I love all these activities — reading is so important for us as well. We are also starting to sort objects for beginning letter sounds! How exciting! 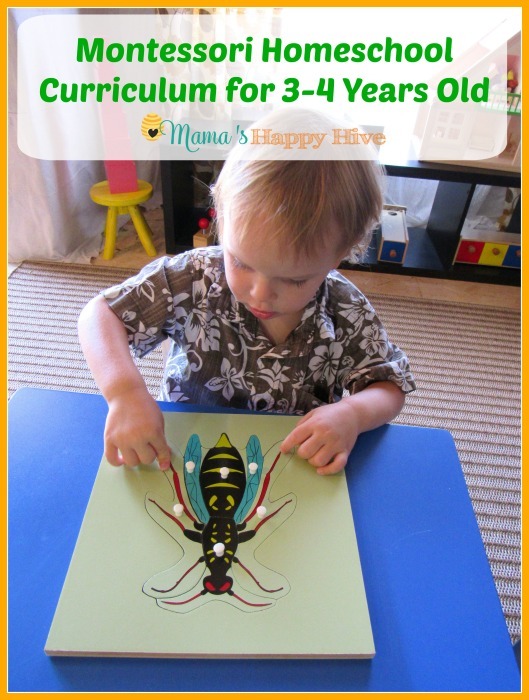 I really love this phase of toddlerhood and preschool! 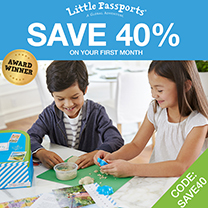 So many fabulous ideas here! This post includes such a wealth of information. I definitely learned a few things!